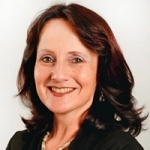 Associate Professor Mary Sidebotham was appointed to Griffith University in 2010. Prior to moving to Australia in 2005 she held senior operational positions within maternity organisations in the UK where she designed and conducted service level reviews and subsequently implemented innovative service delivery models in maternity care. She has worked as a midwife in Australia in a variety of settings including small rural units and private midwifery practice. Since commencing at Griffith she has developed a reputation for innovation and excellence in midwifery education design and delivery. Mary has an Australian Office of Learning and Teaching (OLT) national citation for inspirational leadership within midwifery and she currently leads the scholarship of learning and teaching within the Midwifery@Griffith team. The focus of Marys research is on building a strong resilient midwifery workforce with a particular emphasis on workplace culture and the emotional wellbeing of the midwifery workforce. Mary contributes to maintaining professional standards at a national level through her work as an approved panel member for the NMBA, an ANMAC assessor and as an assessor for the Queensland Civil and administrative Tribunal (QCAT). Mary is a reviewer for a number of peer reviewed journals and is the editor of the midwifery section within Nurse Education in Practice. There is now compelling evidence of the benefits of re-orientating maternity services to provide all women, regardless of risk, with a known caseload midwife within a supportive multidisciplinary team 1-3. The strength of evidence has created international momentum to make women’s access to continuity of midwifery care a priority (referred to as caseload midwifery). There is consistent and significant high-level policy support within Australia (e.g. National Maternity Services Plan, 2011)1 and internationally (e.g. NHS England National Maternity Review, 2016 )2 to provide caseload midwifery. However, despite the strength of evidence and policy support, the transition and re-orientation of maternity services to provide caseload midwifery care has been slow 4. A review of the literature reveals significant barriers to implementation including disinterest and misinformation about caseload midwifery within the existing midwifery workforce , poorly designed or absent implementation and support processes and inadequate leadership 5-7. This paper will outline strategies that could be implemented to support leaders developing these services, and importantly strategies that could support the emotional wellbeing of midwives transitioning to and working in caseload midwifery models.